Their silvery gray coat and bright green eyes are hard to resist. But it’s when you have a chance to witness the vitality of Russian Blue kittens that you realize you have no choice but to fall in love with these fun, furry felines. • They come from the Archangel Isles in northern Russia where the long cold winters demanded the cats develop a thick coat. • They were bred from the cats that kept the Czars company. Regardless of which story is more accurate, most experts agree the cat showed up in Europe around the mid-1800s. By 1875, the feline, which was called the Archangel Cat at the time, debuted at the Crystal Palace in London to compete with other blue cats. By the early 20th century, officials designated the Russian Blue as it’s own category. It was around the same period that the animal appeared at shows in the United States. Since then, the breed has gained a loyal following. There are some distinctive physical and behavioral characteristics that set Russian Blue kittens apart from other felines. 1. These cats boast a grayish plush, short-haired coat that actually looks “silvery” in the sunlight. 2. Purebreds have rounded green eyes that are wide-set with a straight nose. 3. 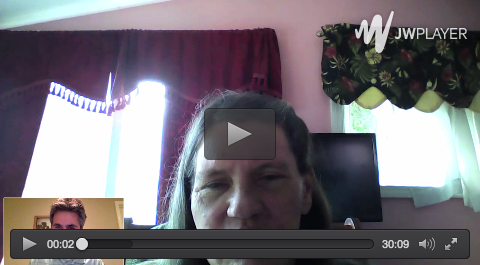 The cat’s head tends to be broad with a flatter top, almost a wedge shape. 4. His large ears are widely set. It doesn’t take a lot of effort to keep your Russian Blue looking good. According to The Cat Fancier’s Association, this breed requires minimal grooming, basically nail clipping and the occasional combing. That said, you might notice a little extra shedding during spring and summer as the weather shifts. Another physical attribute is that these cats tend to be very healthy. 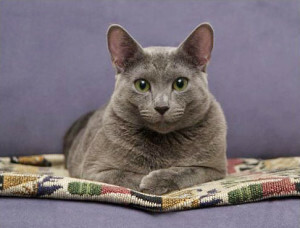 Russianblue.info editors assert that this breed has no inherent genetic problems and generally are not prone to illness. 1. Don’t expect the typical feline independence and aloofness. Russian Blue cats haven’t been told they aren’t suppose to enjoy playing and cuddling. 2. These cats may remind you of puppies because of their playfulness and fondness for toys. Believe it or not, “fetching” may quickly develop into a favorite—dare say, obsessive—activity. 3. The Russian Blue kitty likes to spend time with his family and will express his affection toward those he’s familiar with, but will withhold it from strangers. Also, don’t be surprise if the kitten chooses one person in particular to be his special human. The average lifespan for the Russian Blue runs about 10 to 15 years, and the cats are medium-sized. But in order for this kitty to be officially considered part of the breed, it needs proof of lineage; otherwise, she’s just another blue cat.